Local authority budget cuts and new MRF standards could lead to a reduction in England’s recycling rates for the first time this century. With a tiny 0.05 percentage point increase in English local authority household recycling between 2012 and 2013, to 44.16%, it is now considered highly unlikely that the UK will meet the 2020 50% target set by the EU. The Chartered Institution for Wastes Management (CIWM) said there was a “real risk” that recycling rates will decline over the next 12 months, partly due to the MRF code of practice coming into effect. The code is intended to boost the quality of recyclates so one consequence could be waste management companies increasing the quality threshold for material they receive from local authorities - thereby hitting the recycling rate. There is a view in the sector that the first official decline in the rate will deal a body blow to those trying to get a recycling message across. Steve Rymill, consultant at Ricardo-AEA, told MRW that councils’ environmental and regulatory service budgets had fallen by 16% between 2010/11 and 2013/14. “Authorities have been evaluating what their statutory service requirements are and this has meant that a number of areas, such as communications and food waste collections, have been subject to significant cuts,” he said. Rymil added it was a particular concern that some councils had actually seen a decline in rates, which was partly blamed on street sweeping being reclassified and garden waste services being retracted. Ricardo-AEA is currently carrying out research for CIWM on the impact of austerity measures on council’s waste and recycling services. 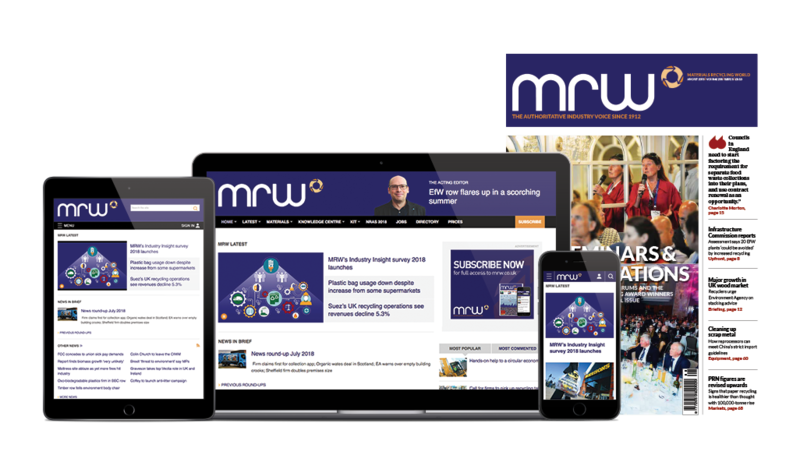 Phil Conran, director at consultancy 360 environmental, told MRW some councils with high rates were seeing a significant proportion rejected with contractors complaining the material was not good enough to recycle. “High recycling rates achieved at the expense of quality are generally not sustainable,” he said. “There’s also the question of TEEP and whether councils can continue to collect glass along with other materials. “Some MRFs might prevent local authorities from delivering commingled materials with glass in it, because of quality issues and because of the potential impact of the code of practice. If they revert to bottle banks to collect glass rather than as part of the mix, that would potentially depress recycling rates. The reality is that historical recycling rates were overstated as they included the contamination mixed with green list materials are shipped overseas .